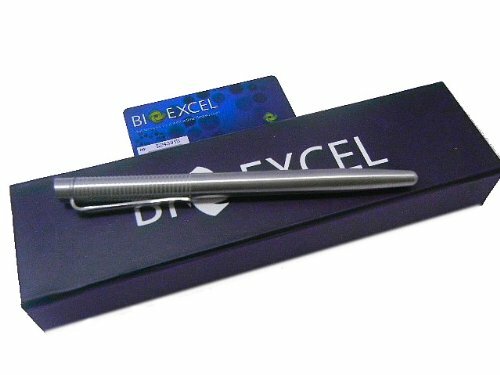 Bioexcel wands are listed as nano wands sold on Amazon and eBay. They have raised the price to make you think you are getting something more than you are. They are basically a nano wand which is a generic no-name brand put in a fancy box with a negative ion card and anti-radiation stickers to give you more perceived value. The effectiveness and performance of the Bioexcel zero point energy wand is the same as other nano wands-inconsistent. There is no technology in the manufacturing facility to infuse the wands with anything that creates healing properties, nor do they have a means of testing them to see if they work. If you buy one you take a chance on whether or not it will work for you. Most, if not all nano wands have ever seen any infusion technology and the Bioexcel is no different. These energy wands are cheap and are handled as little as possible because the more you handle and improve a product the more expensive it becomes. Bioexcel nano wands are sold right off the boat with no added input. Bioexel nano wands are relatively new on the market and are making an effort to enter the alternative health market with a zero point energy wand. They are getting some help from Amazon and eBay traffic who see them in the algorithm searches but that doesn’t mean their product is good or worth purchasing. Just like any nano wand product Bioexcel zero point energy wands really aren’t worth buying because of their questionable performance and effectiveness. The one saving grace with Bioexcel is that you have eBay and Amazon to fall back on if you are dissatisfied with your purchase which is more than most other nano wand resellers have. As for helping you discover uses for your zpe wand, they will be of no use. As with other nano wands, Bioexcel is not a zpe wand that is consistently effective and doesn’t perform well. If you insist on buying one, be prepared to be disappointed.